I am interested in 7256 Flyway Drive, Spring Hill, FL 34607. SEASONAL RENTAL ONLY. Available April 1 2019. BOOKED FOR 10/2019 04/01/2020. 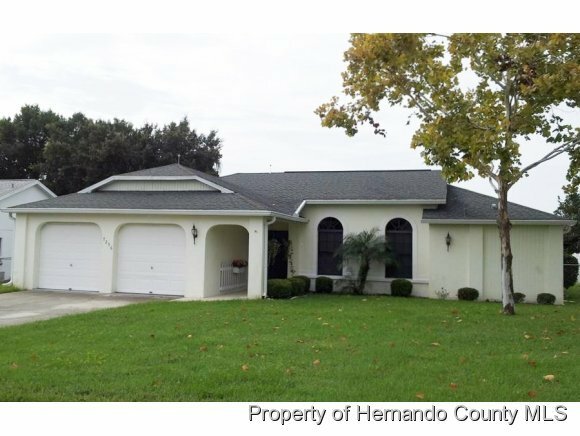 Regency Oaks is a short drive to Pine Island, Weeki Wachee River, Hernando Beach, shopping, medical services, and restaurants. An hour to Pinnelas beaches. Sea World,Disney 2 hrs away. Regency Oaks is a deed restricted neighborhood in the heart of Spring Hill, Fl. This well equipped home makes for comfortable living while you vacation. Three good size bedrooms, two baths with a king bed in Master, queen beds in the other two bedrooms. Huge enclosed back porch to enjoy the pool area. Lawn and Pool Care is included. Utilities, cable, internet included in mo. rent w a cap. Watch tour and book today.